While atmos’ “We Love Nike” Pack expresses the affinity the Japanese Boutique has for the Swoosh Brand, its upcoming “Just Do It” pack is here to help those that miss out show their support for the world’s top sneaker brand. Consisting of a number of classic Air Max models, two of the collection’s highlights are undoubtedly the two Air Max 95 selections you see here. Each offering advertises the brand’s “Just Do It” catchphrase in a different way, as the orange pair features a sewn-on banner while the white pair calls upon an all-over graphic that can be seen on multiple elements throughout its upper. Each sneaker releasing as part of this Nike lover’s dream pack will be accompanied by a hang tag that furthers its tribute. At the moment, no release information has been reported, but it is looking like a drop will go down in the late Summer/early Fall months. 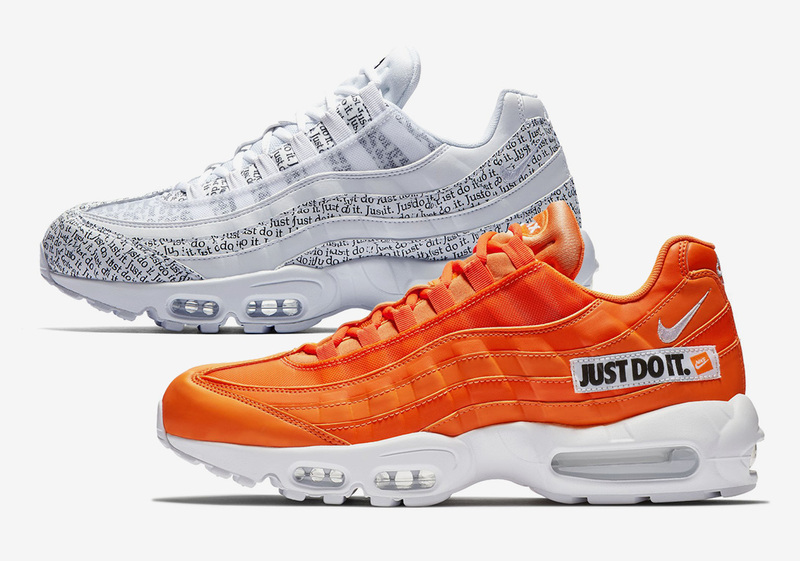 Stay tuned for updates regarding these two 95s as well as the rest of the upcoming “Just Do It” selections. Update: The Nike Air Max 95 JDI is releasing on June 28th.